Energetic, compelling advocate for highway safety and transportation issues. Driven by personal tragedy to affect structural change. Recognized by peers and leaders as a determined pioneer with a focus on enacting policy that promotes prevention, education, and accountability. Relationship driven, with extensive experience working with and uniting law enforcement, victims’ families, students, schools and businesses to shape programming and educate the public. 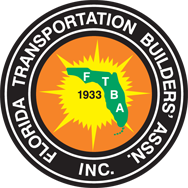 Served as Ranking Member on the Florida Department of Transportation Committee for six years. Served on the Florida Department of Transportation Appropriations Committee for four years. Served on the Highway Safety Committee for twelve years. 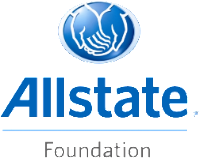 Chairman; The Dori Slosberg Foundation; Established in 2004 as a 501(c)(3). Unites law enforcement and civic leaders to remedy a multitude of dangers on Florida’s hazardous Interstate through the Staying Alive on I-95 program. Leads innovation in Driver Education via annual Driver Education Conference, bringing together teachers from across the State of Florida. Organized the Bus Driver Safety Event honoring 900 bus drivers in Palm Beach County. 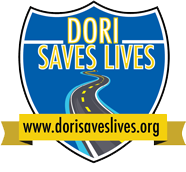 Provided funding sources for driver education by enacting the Dori Slosberg Driver Education Safety Act, allocating $5 from each traffic citation in the state to public and private Driver Education programs (local county option). This law enacted in 2003 has brought in over 65 million dollars directly to the schools. Championed mandatory seatbelt use laws, first for minors and then for people of all ages. The law is named after Dori Slosberg. Brought in 24 million dollars of state funding for guardrails on the Florida Turnpike named The Alexander Ware Turnpike Memorial Barrier System. Instituted a mandatory vision testing rule for drivers 80 years of age and older. If you go to the DMV to renew your license usually a vision test is mandatory. Passed legislation requiring mandatory driver signals (state-wide) and banning trucks from the two left lanes of I-95 in certain counties. Instrumental in mandating breathalyzers in cars of repeat DUI offenders. Passed legislation named Gabby’s Law to require school buses to have a 1-800- hotline number on all busses (county option). Enhances the definition and inspection of hazardous walking conditions for students; requires local or state government to fix conditions within a reasonable period of time or provide transportation to students who would be subjected to them. Enacted legislation to comply with the Federal Motor Carrier Safety Administration specifically prohibiting interstate truck and bus drivers and drivers who transport placardable quantities of hazardous materials from texting or using their mobile phones while operating vehicles. 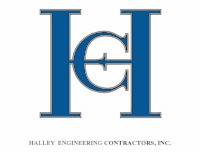 Civil penalties up to 2,750 dollars, and driver disqualification for multiple offenses. The mobile carrier could face a civil fine of up to 11,000 dollars.